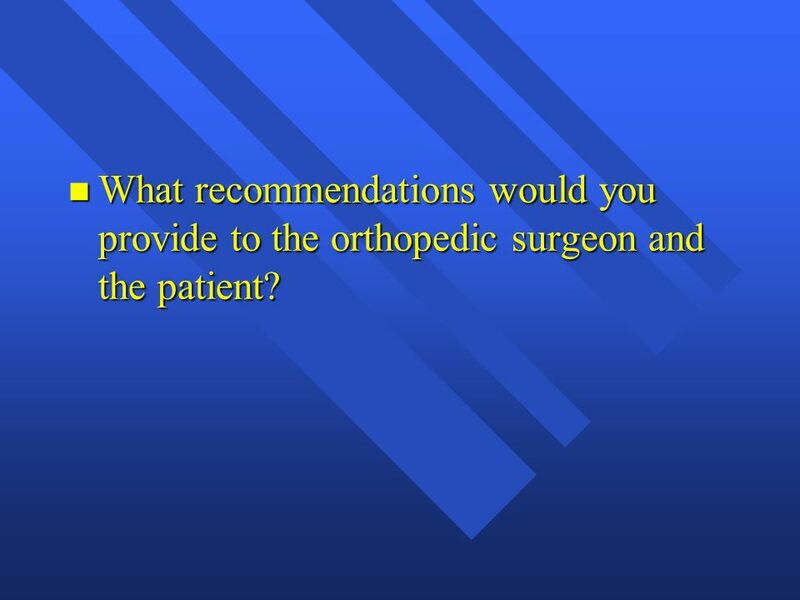 5 What recommendations would you provide to the orthopedic surgeon and the patient? 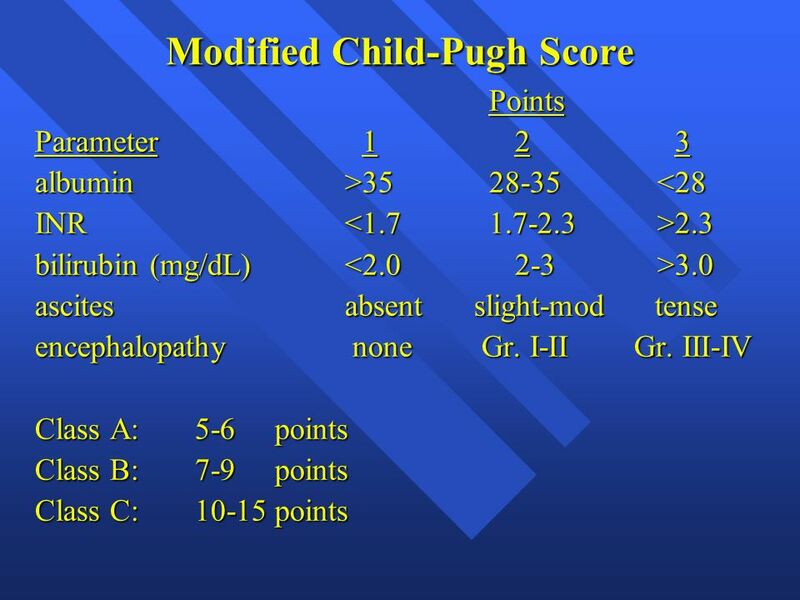 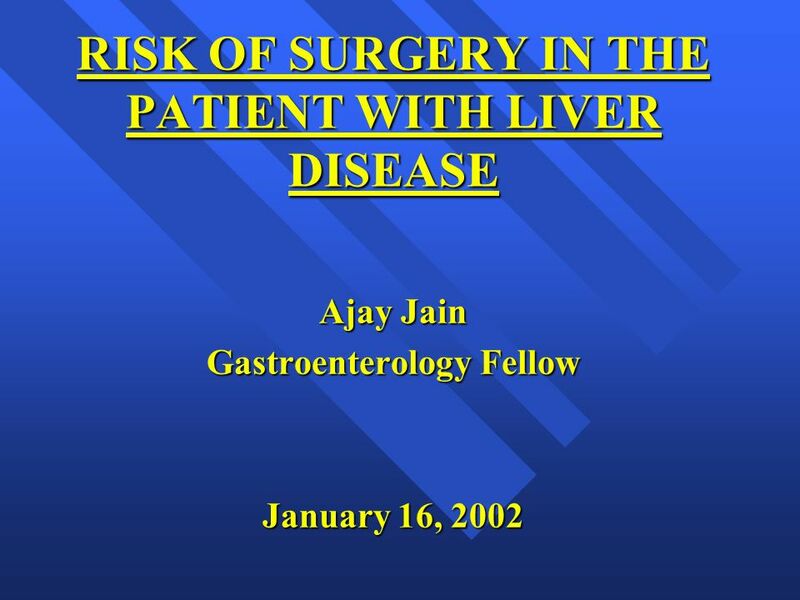 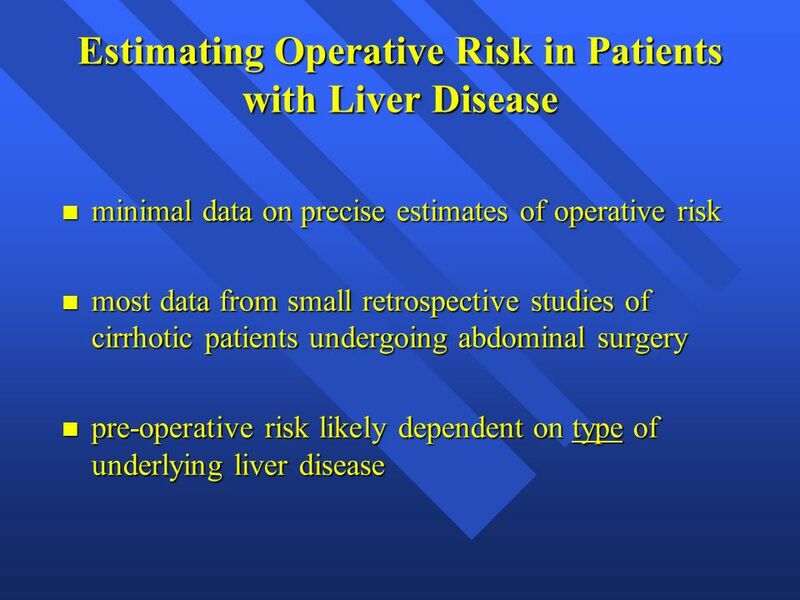 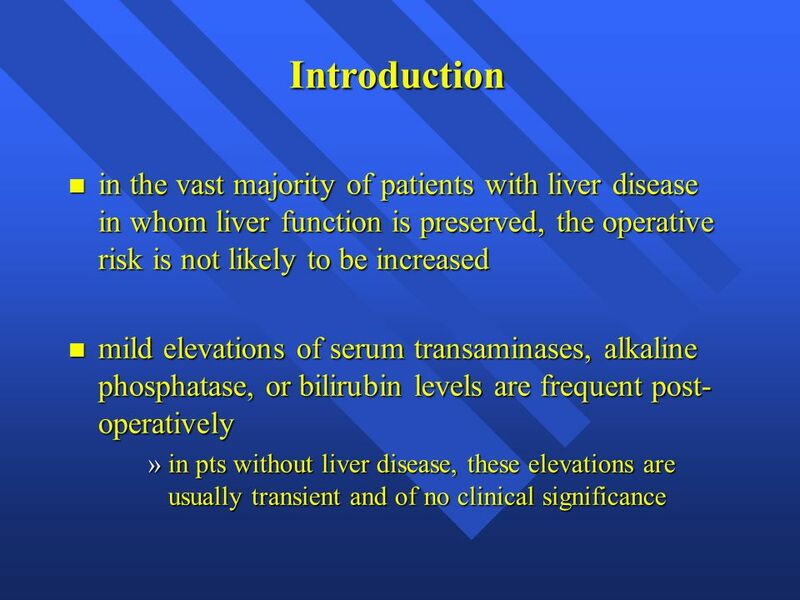 Download ppt "RISK OF SURGERY IN THE PATIENT WITH LIVER DISEASE"
Learning objectives To understand the pathophysiologic basis for vasoactive therapies for HRS To become familiar with the diagnostic criteria for HRS To. 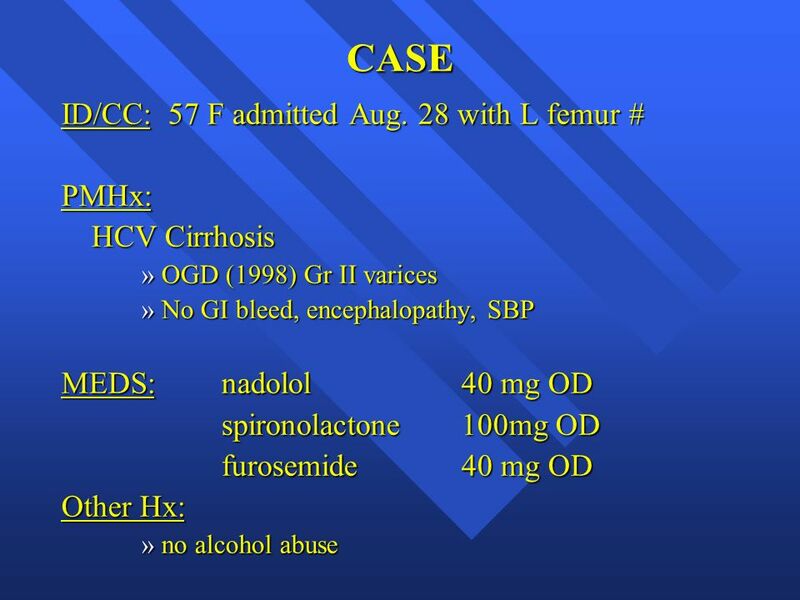 September 29,2010 Karen Harkness RN CCNC PhD. 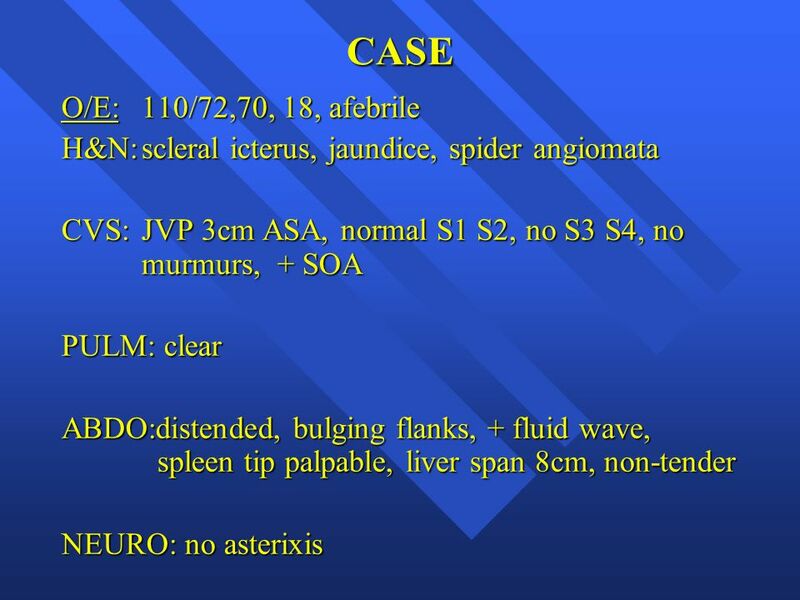 Definition Not a clinical diagnosis Heart failure is a complex syndrome in which abnormal heart function. 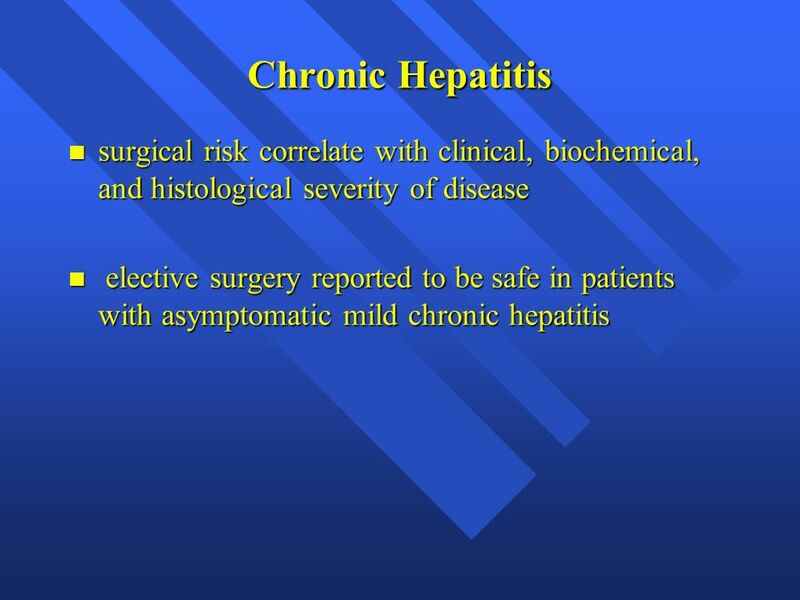 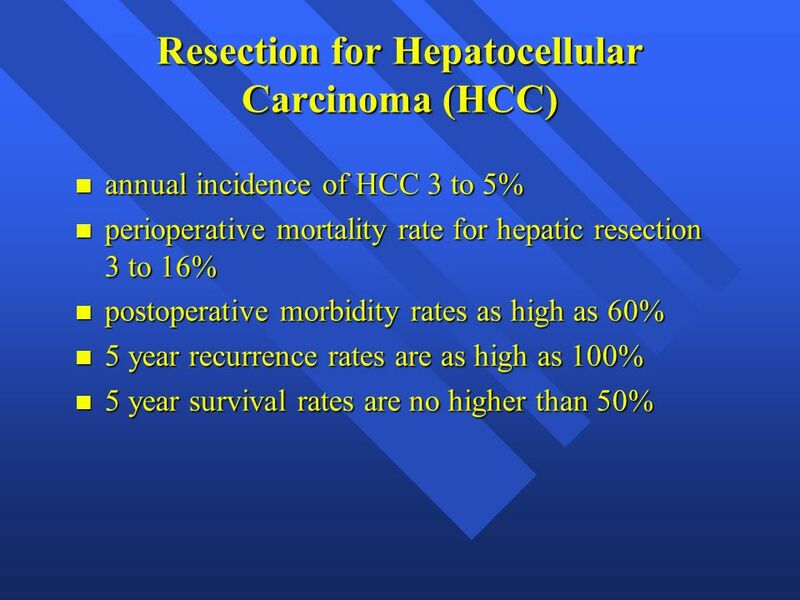 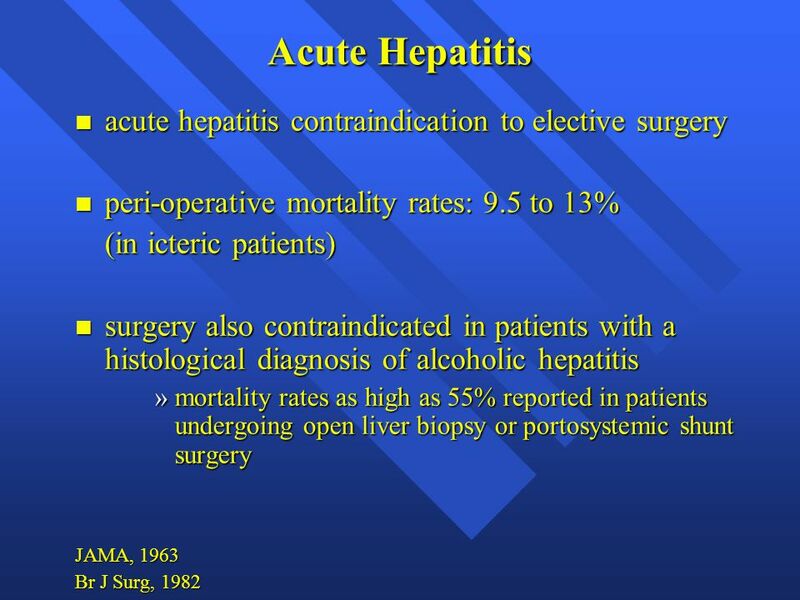 Operating on patient with Hepatitis C Sonal Asthana, MD and Norman Kneteman, MD Can J Surg August; 52(4): 337–342. 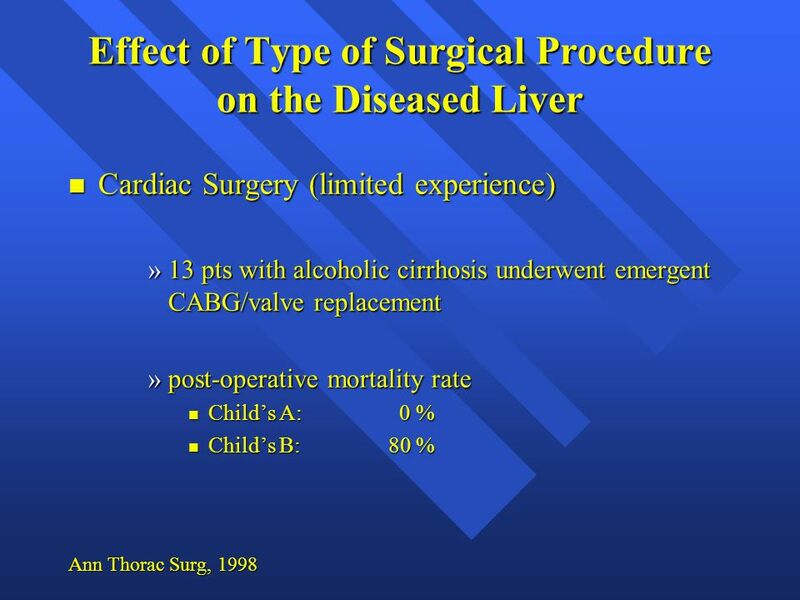 Canadian Journal of Surgery The. 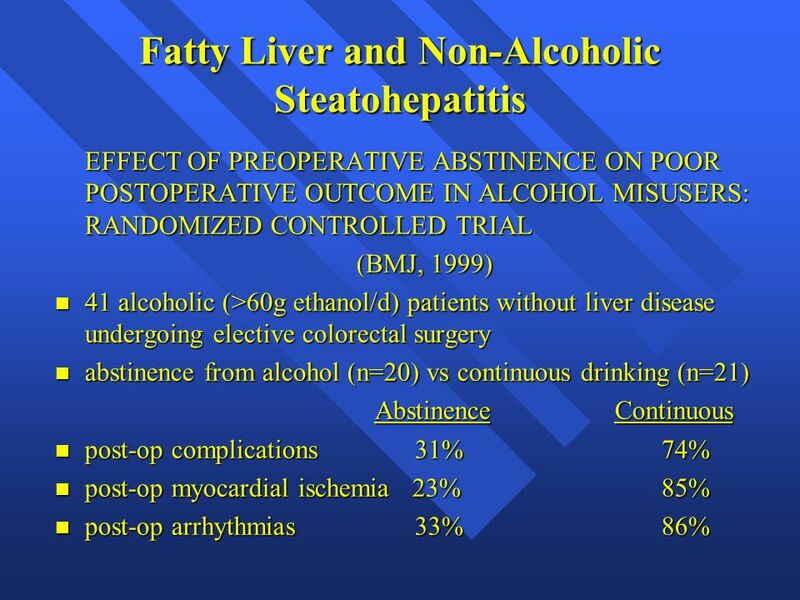 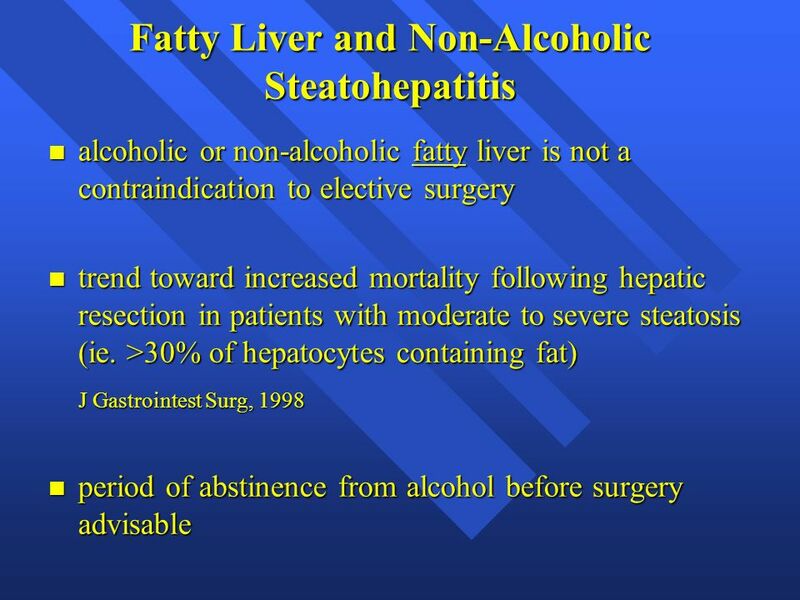 HEPATIC FAILURE TITO A. GALLA. 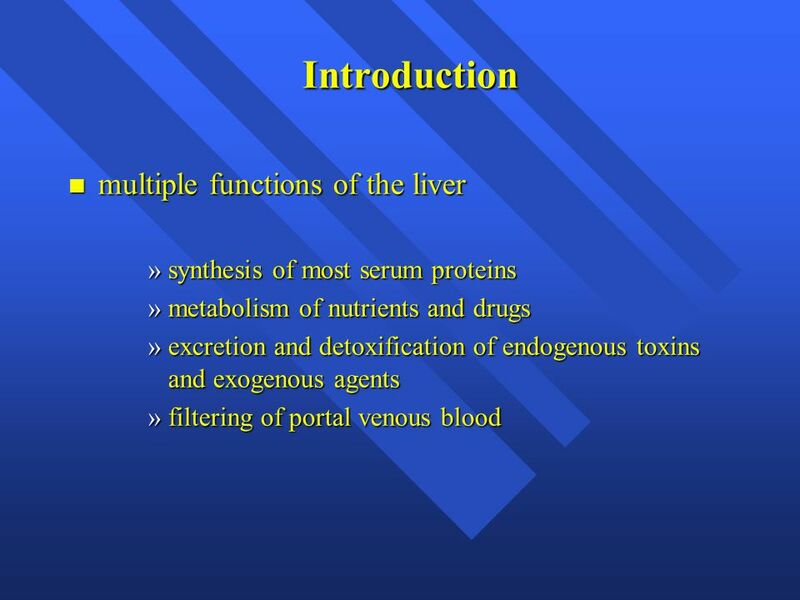 HEALTHY LIVER LIVER FUNCTION  METABOLISM  DETOXIFICATION PROCESS  PROTEIN SYNTHESIS  MANUFACTURE OF CLOTTING FACTOR. 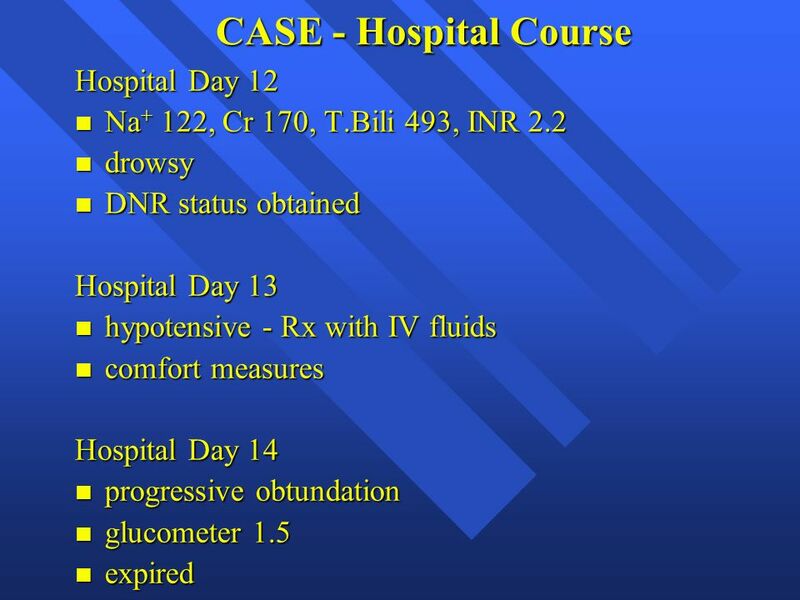 Group D Florendo-Gaspar. 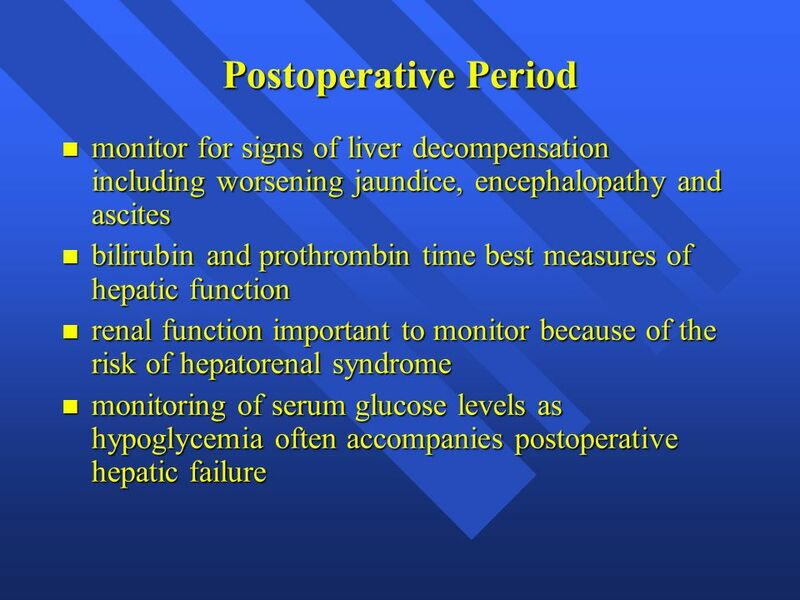  Tests based on detoxification and excretory functions  Tests that measure biosynthetic function  Coagulation factors  Other. 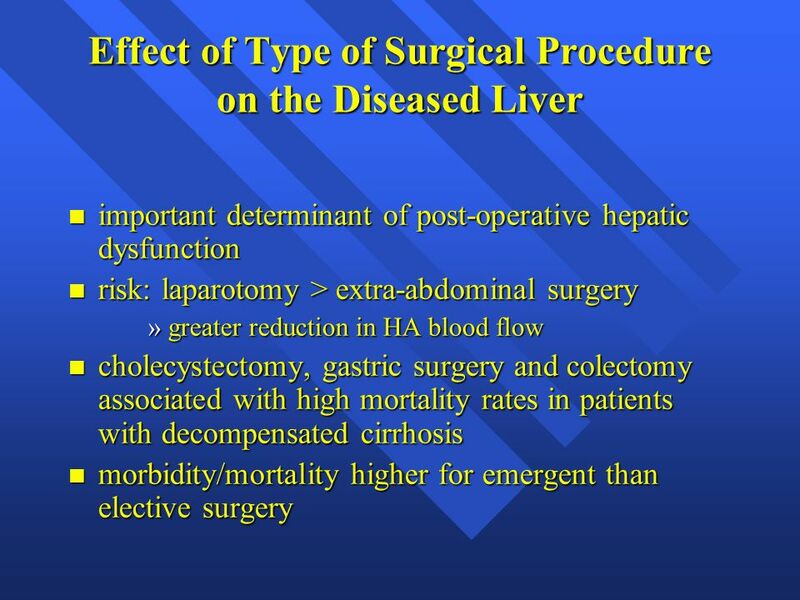 Dr. David Pearson Gastroenterology, Victoria. 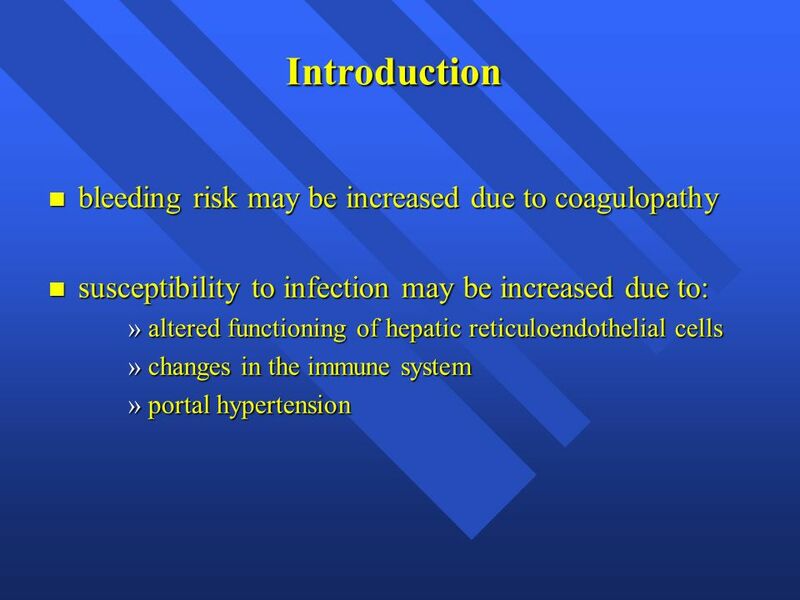  None relevant to this presentation. 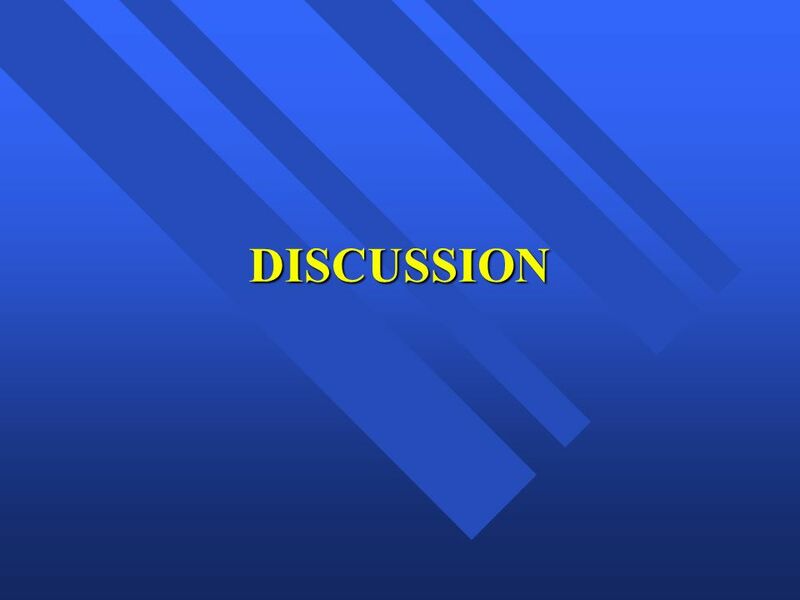  Brian Torski, DO, Internal Medicine PGY-1. 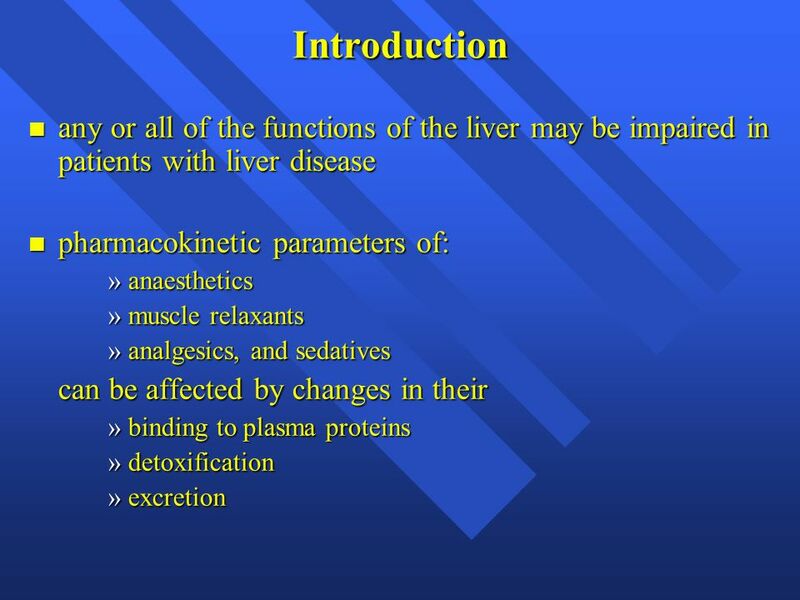 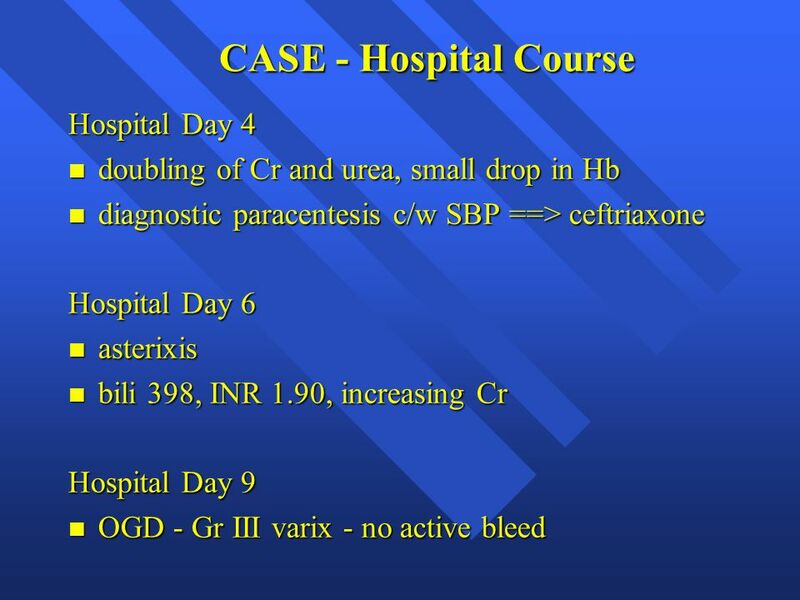  Overview of Hepatorenal Syndrome o Pathophysiology o Diagnosis o Classification o Prevention and Treatment. 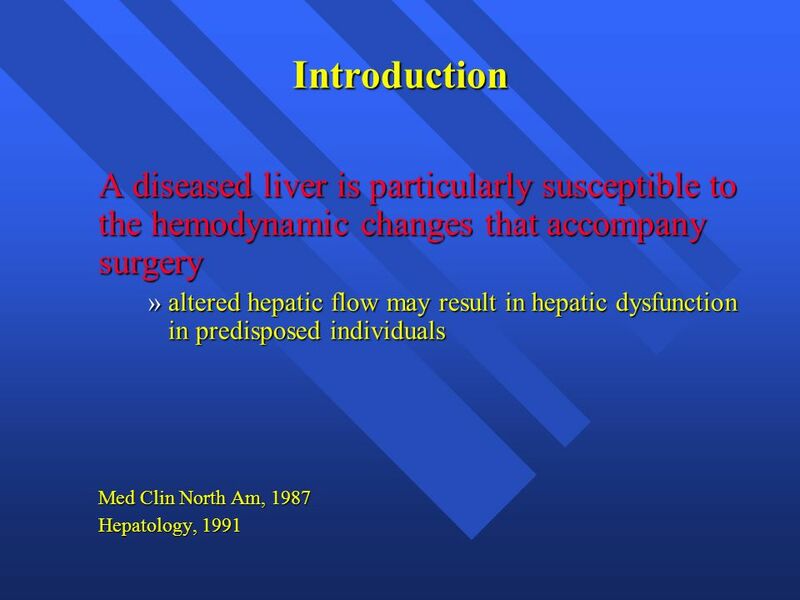 Chronic Liver Disease Simon Lynes. 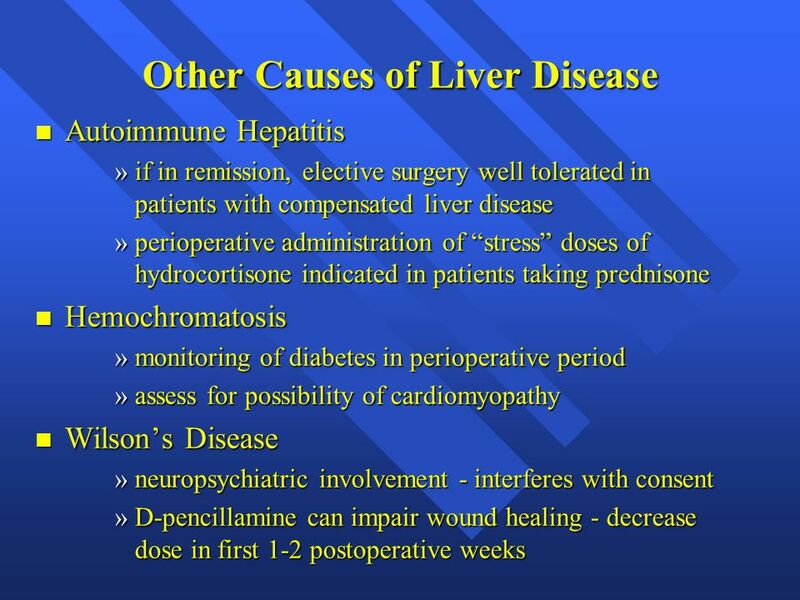 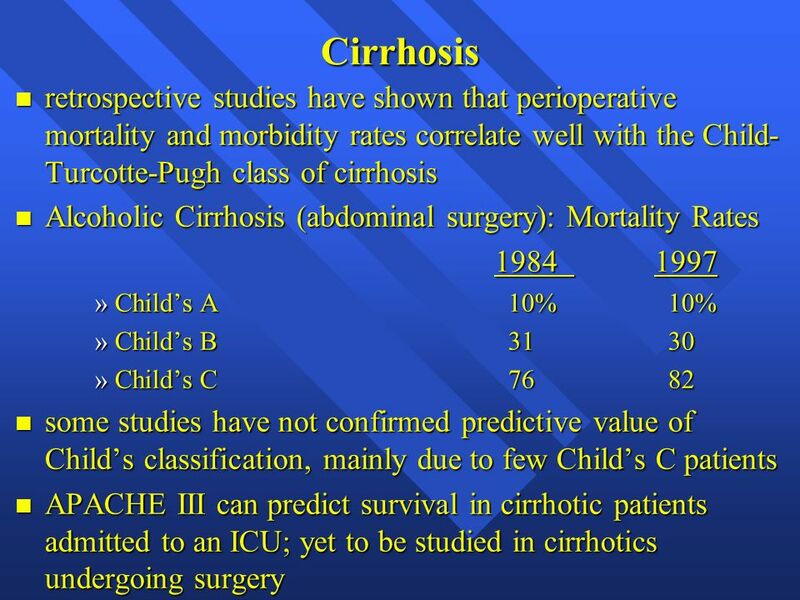 Definition Progressive destruction and regeneration of the liver parenchyma leading to fibrosis and cirrhosis. 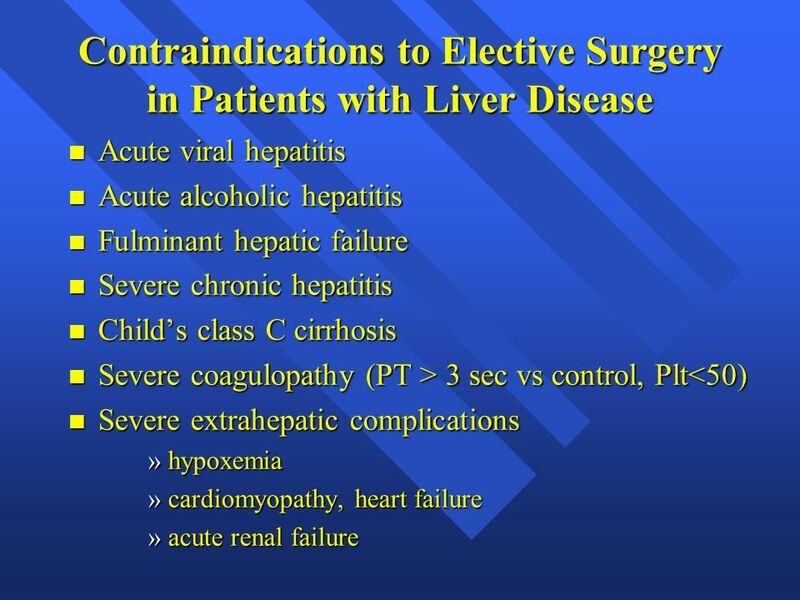 Risё Stribling, MD Medical Director of Liver Transplant St Luke’s Medical Center Associate Professor of Surgery Baylor College of Medicine. 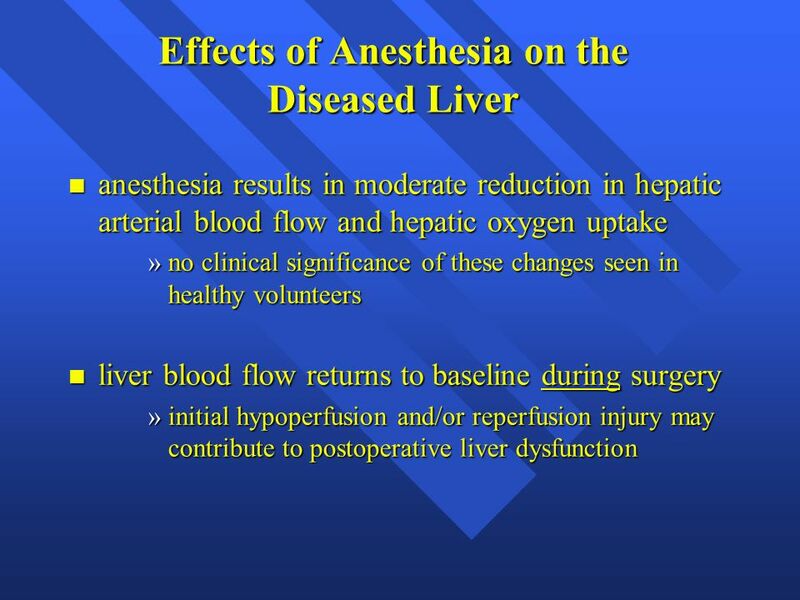 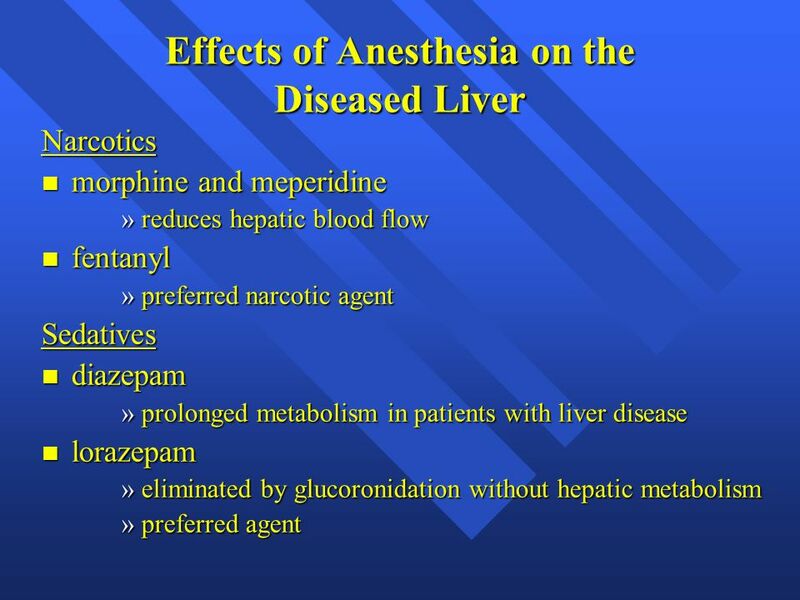 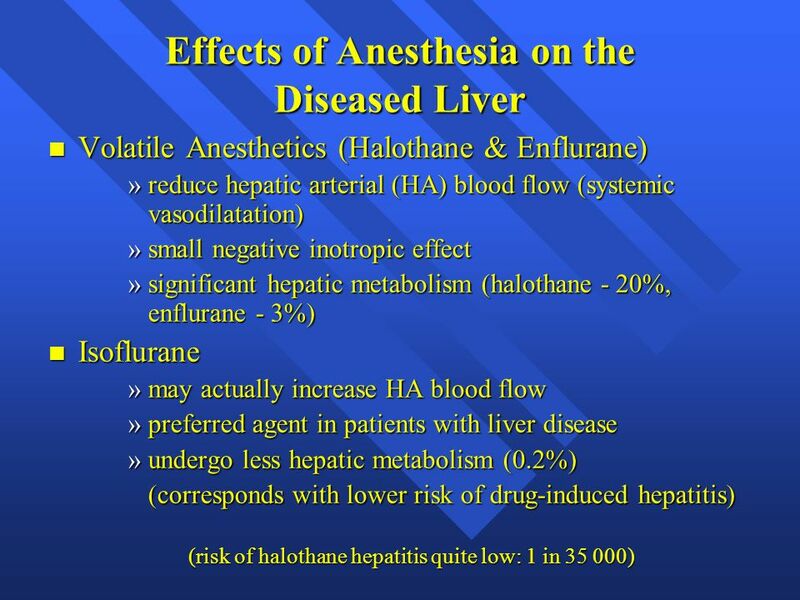 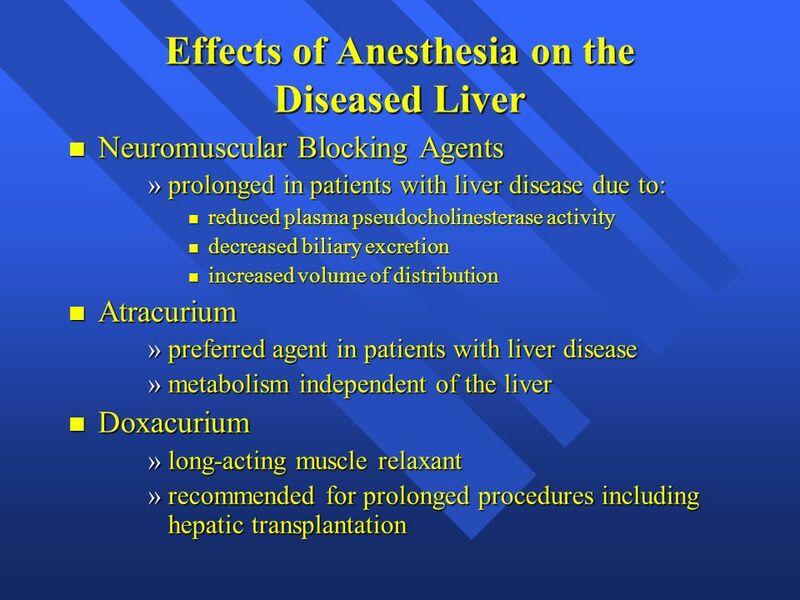 Anesthesia and Liver Disease E.A. 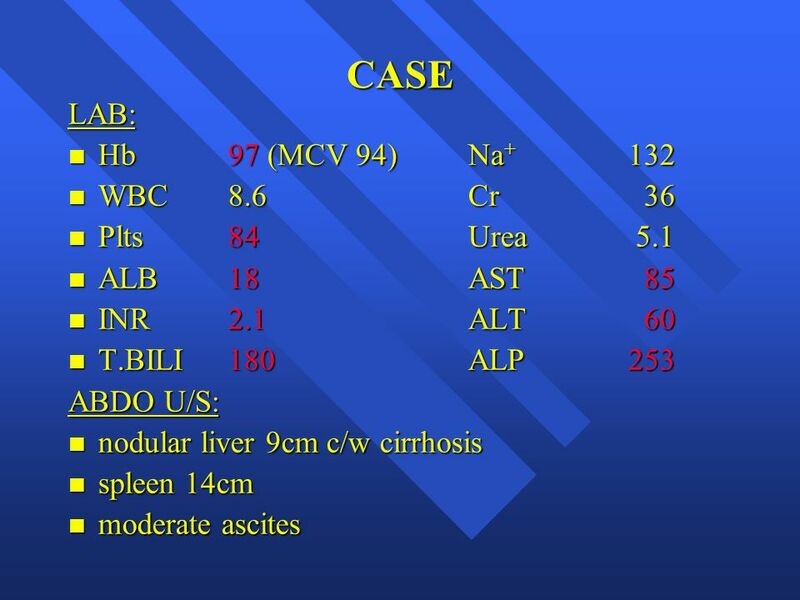 Steele, MD May 4, 2005. 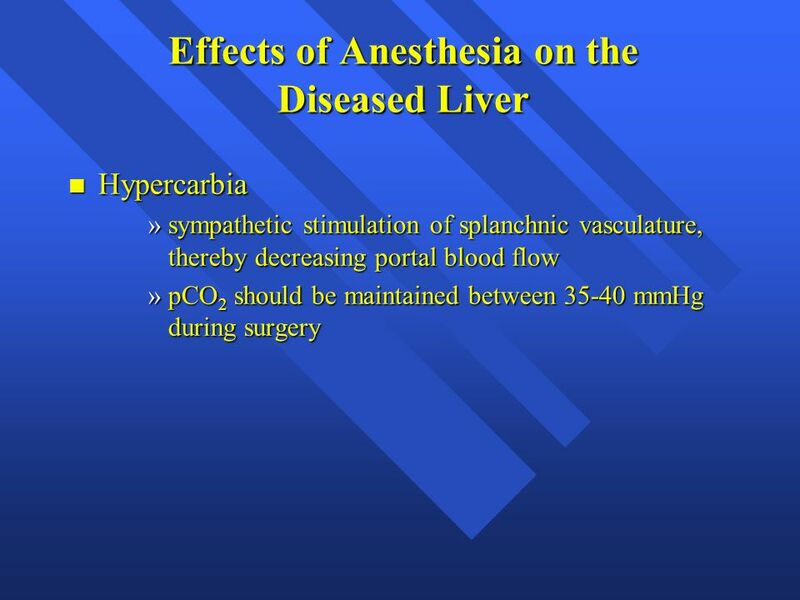 Prolonged Propofol Anesthesia Is Not Associated with an Increase in Blood Lactate Anesth Analg 2009;109:1105 – 10. 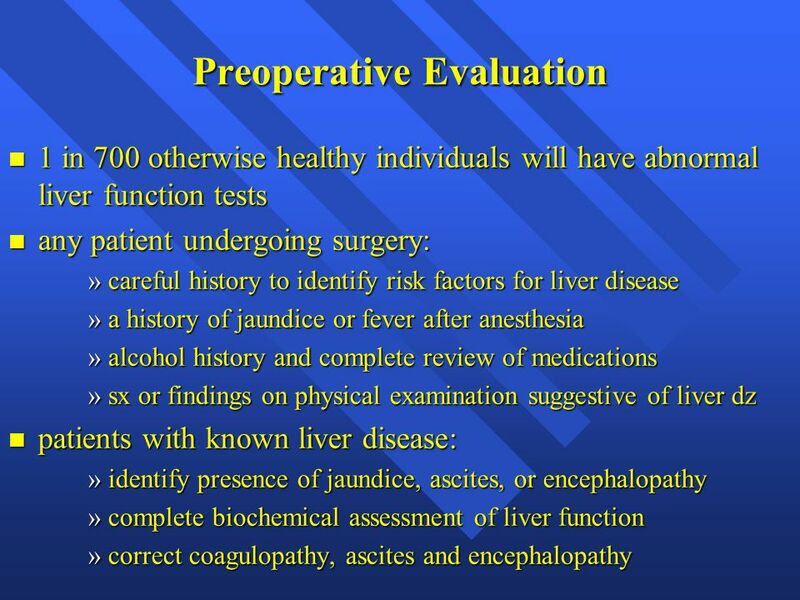 Interventional Oncology Michael Kotton MD October 27, 2012.